Cosmetic fillers, such as Restylane® and Perlane® , and neuromodulators, including BOTOX® Cosmetic and Dysport® , are the rage in facial rejuvenation. 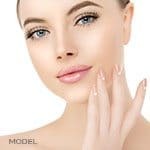 But while fillers and neuromodulators are similar (they can be done during one’s lunch hour and require little, if any, downtime), there’s a lot more to this facial rejuvenation story, including important differences among products and approaches. Here are 8 things you should know. Neuromodulators relax overactive muscles. An example: We raise our eyebrows constantly throughout the day, often developing a furrow between the eyes. By placing Botox or Dysport just a small distance under the skin, we relax the muscles that cause the furrows. Our foreheads look smoother and more youthful as a result. Fillers don’t relax muscles at all. Rather, we inject fillers in areas where the folds, furrows or wrinkles are not a result of excess muscle movement. 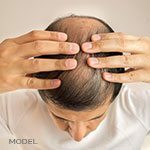 Some facial lines and wrinkles are simply a result of age related volume loss. As the skin thins, wrinkles form. Fillers will fill an area where the skin has thinned; neuromodulators won’t. There are many different kinds of fillers, including synthetic hyaluronic acid products and one’s own fat. In Europe, there are some 200 fillers available for cosmetic facial rejuvenation. The secret for a great cosmetic result is to choose the right filler for the desired result. For example, if you have a superficial line, you don’t need a heavy, thick material to fill it. You want a material to place just under the skin, to lightly plump the line. On the other hand, if you had a deep groove, say a nasolabial fold, you would want a thicker material—something that would go a little deeper and provide more foundational support. Among my favorite fillers: Perlane and Restylane. Both are hyaluronic acid fillers, but that’s where the similarities end. Restylane is an ideal option for plumping wrinkles under the eyes. The benefit of Restylane is that it does not pull very much water to it, so there is little to no additional volumizing that occurs after it is placed. What you place is pretty much what you get. I don’t use Perlane under the eyes because it does pull fluid to it and becomes plumper with time. Perlane is ideal for the deeper lines. Another important Perlane plus is that it flows well, allowing for a smooth placement. The last thing patients want is a lumpy result. #4: Dysport and Botox: Are they the same? Dysport and Botox are neuromodulators. Both are manufactured from the same bacterial products, but they are processed in different ways and are slightly different molecules. As a result, they have a similar effect in terms of relaxing the muscle, but Dysport tends to take effect faster and can last longer than Botox. For years, I’ve used cannulas for autologous (meaning, one’s own) fat transfer. Cannulas are tiny tubes, blocked on the end so that they are not sharp and with a side port for fat delivery under the skin. This allows the substance to be placed wherever you want it, without trauma. In other words, there’s nothing sharp on the end. What’s new is we are now using cannulas to place synthetic fillers, such as Perlane and Restylane. Using cannulas is more comfortable for patients and lessens the chance of post-procedure bruising. Ideally, anyone about to have facial rejuvenation with fillers or neuromodulators should prepare for their procedures by getting off anything that thins the blood. So, if possible, about ten days to two weeks prior to our patient’s appointments, we have them stop taking anti-inflammatories that have not been prescribed, such as aspirin, Aleve, Advil, and Motrin. Blood thinners also include over-the-counter natural nutrients, such as vitamin E, ginkgo biloba, ginger, and green tea. Neuromodulators start working within the first two days after placement. Their full effect doesn’t occur until about ten days, post procedure. So, be patient and allow the effect to come with time. Remember, we don’t want to have frozen faces as a result of these procedures. We want to preserve expression, while minimizing wrinkles, furrows, and frowns. How long do fillers and neuromodulators last? The short answer is it varies from person to person. We like to see our neuromodulator patients back three months after the first treatment, then, again in three months after the second. After that, it’s about every four months for Botox and, maybe, every four to five months for Dysport. The bottom line: In order to keep their benefit going, most patients should plan on having neuromodulators topped off three times a year. Today’s fillers last longer. The hyaluronic acids group tends to last between six months and a year depending on which filler is used. Interestingly, fillers stimulate the body’s own fibroblasts to make more collagen. This is good news because it means that in order to get the same result, one tends to need less and less filler over time.